MBA PA-6638 HANDHELD BARCODE TERMINAL －SEATTLE TRADING CO. LTD.
"I CHECK THE WAREHOUSE EVERY YEAR BUT THE QUANTITY OF THE GOODS DOES NOT MATCH. I AM SO FRUSTRATED." MBA HANDHELD BARCODE TERMINAL CAN SOLVE THE PROBLEM. MANY WHOLESALERS WASTE A LOT OF HUMAN RESOURCE TO CHECK THE WAREHOUSE. HOWEVER, THE GOODS QUANTITY DOES NOT MATCH WITH NO REASONS. MBA HANDHELD BARCODE TERMINAL CAN HELP TO CHECK THE STOCK QUICKLY. IT IS USER-FRIENDLY AND PORTABLE THAT STAFF ONLY SCAN THE BARCODE AND ENTER THE GOODS QUANTITY. MBA WIRELESS HANDHELD BARCODE TERMINAL TRANSFERS THE DATA TO THE RECEIVER. THEN DISPLAYS THE GOODS NAME, BARCODE AND QUANTITY IN SOFTWARE. 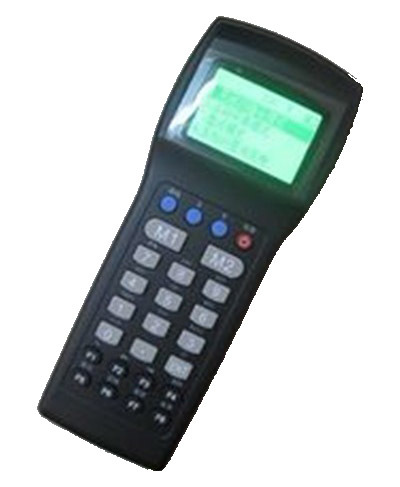 MBA HANDHELD BARCODE TERMINAL WITH SOFTWARE HELP THE STAFFS TO CHECK THE WAREHOUSE EFFECTIVELY. WHOLESALERS CAN CHECK THE WAREHOUSE SYSTEMATICALLY AND SHORTLY. IT REDUCES THE HUMAN RESOURCE GREATLY DUE TO SHORTEN TIME OF GOODS CHECKING, YOU CAN ALSO FIND OUT THE REASONS WHAT GOODS QUANTITY DOES NOT MATCH WITH COMPUTER DATA. TO CONCLUDE, GOOD STOCK MANAGEMENT LEAD TO BE A SUCCESSFUL BUSINESS.